It may feel like the kids have only just gone back to school, but this week, you’ll have to think of a week’s worth of creative things to keep those ankle-biters entertained once again – because it’s half-term! With the weather turning not only colder but also considerably wetter, banking on trips to the park to tucker them out will probably lead to disappointment. You need something that will occupy their minds and get them excited. And if you can add in a life-long memory as a bonus, you’re the best parent in the world! Seeing a show could achieve all those things. Here are some top West End shows that are offering an extra matinee during half-term – so taking your kids couldn’t be easier. 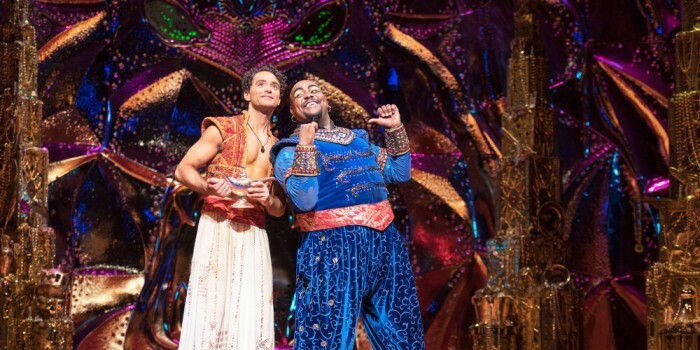 Take your whole family to a whole new world with Disney’s Aladdin. Travel to a magical land filled with beauty, comedy and breath-taking spectacle while listening to songs you know and love. The beloved classic tells the story of a savvy street urchin who gets caught up in the nefarious plans of an evil magician, falls for a stunning princess and befriends a wonderfully funny lamp-dwelling genie. See Aladdin go on an enchanting adventure from rags to riches and let your kid see their favourite film character come to life. Extra matinee: Tuesday 23 October at 2.30pm. Seen by more than 70 million people worldwide in 45 countries and in 22 languages, this spectacular musical adaptation of Victor Hugo’s masterpiece continues to thrill audiences night after night at Queen’s Theatre. 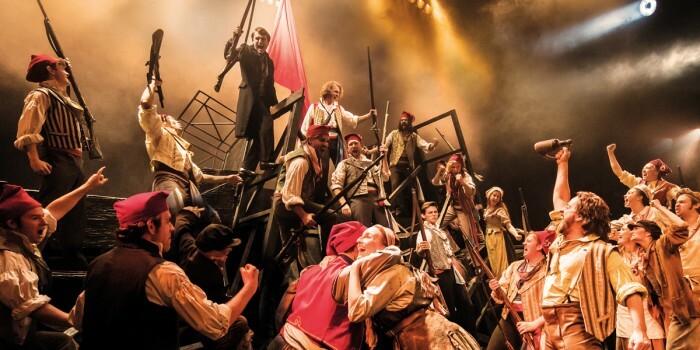 Set amidst the social and political struggles of 19th century France, West End favourite Les Misérables tells the story of former prisoner Jean Valjean, who is pursued for decades by his policeman nemesis, Javert. Going on a journey filled with new identities and a struggle with what’s right and wrong, Jean Valjean must try to be a good man and make up for his past bad deeds, all while avoiding prison. Turn up the heat and get the party started with a visit to Mamma Mia! This jukebox musical has a bit of everything: a Greek island, romance, mystery, sequins, and some of the most popular songs from the 20th century. As Sophie’s wedding day approaches, she has more than her fiancé on her mind. In an attempt to discover the identity of her father, Sophie invites three men from her mother’s past to the wedding… without her mother’s knowledge. But with Sophie distracted, will the wedding go ahead as planned? Set to some of ABBA’s biggest hits, you’ll be thankful for the music when your young ‘un is dancing and singing themselves to nap time the rest of the week. Extra matinee: Tuesday 23 October at 3pm. 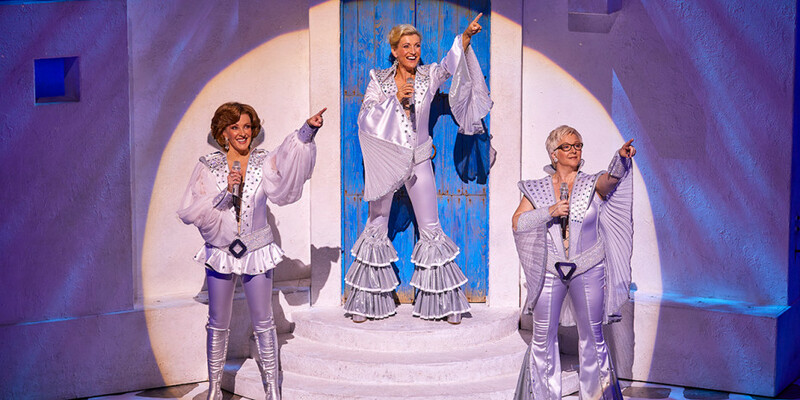 Book tickets to Mamma Mia! School may be out for autumn, but there’s one class your kids will love to enrol in. 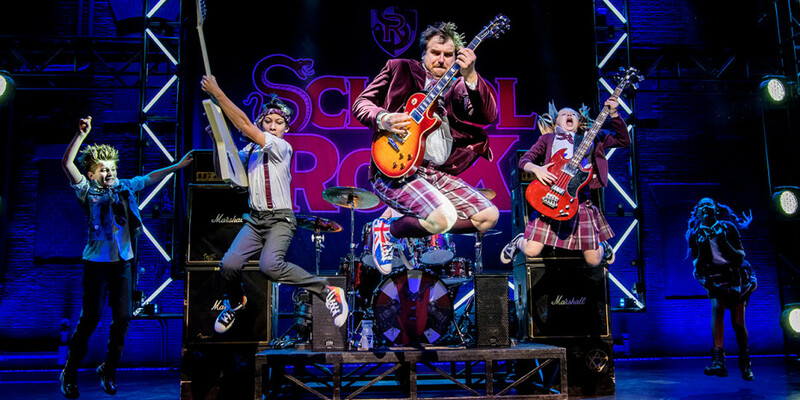 School Of Rock is the musical adaptation of the hilarious 2003 Jack Black film of the same name. Scored by Andrew Lloyd Webber with an insanely cast of talented children who play their musical instruments live on stage each night, it’s a fun and inspiring night for any mite that attends. The guitar-thrashing, drum-rolling, rip-roaring celebration of the power of rock tells the story of Dewey Finn, a down-on-his-luck wannabe rock star struggling to make ends meet. Posing as a substitute teacher at a prestigious prep school, Finn discovers his students’ musical talents, and opts to enlist his fifth-graders in a quest to conquer The Battle Of The Bands. Extra matinee: Wednesday 24 October at 2.30pm. 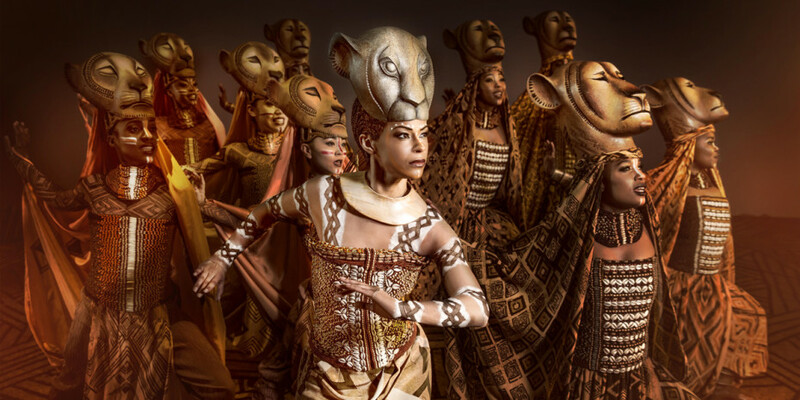 Journey to the wilds of the Serengeti with Julie Taymor’s spectacular adaptation of Disney’s award-winning film. The Lion King brings the lions, giraffes, zebras and other animals using masks, puppetry and pure theatrical magical. Watch as the young lion prince Simba’s birth causes unease in the kingdom. When his evil uncle Scar is pushed back to second in line to the throne, he plots to kill both Simba and his father, the Lion King Mufasa, in the hopes of becoming king in the process. After Scar’s evil attack, Simba flees the Pridelands believing he’s responsible for his father’s untimely demise. But when he learns of Scar’s dictatorship, he must decide to stand up and fight for what is truly him or live a worry-free life. Age recommendation: 8+. Children aged 3 and below will not be admitted. Extra matinee: Thursday 25 October at 2.30pm. Everyone’s a little bit naughty and there’s absolutely nothing wrong with that. Celebrate the daring, cheeky and super intelligent child in your life with a trip to Matilda The Musical. 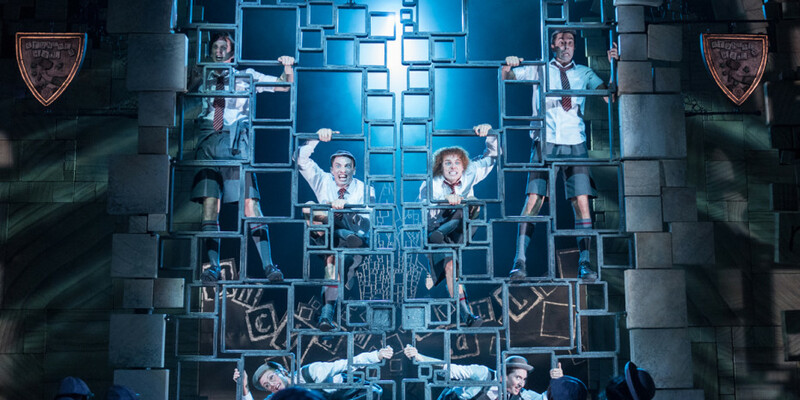 Inspired by the twisted genius of Roald Dahl, this record-breaking musical masterpiece from the RSC tells the story of Matilda Wormwood, a child with an incredible talent for learning. Despite being hampered by unscrupulous, uncaring parents who care neither for their daughter or for education, she excels intellectually and even discovers a rather unique talent. Extra matinee: Thursday 25 October at 2pm. If musicals aren’t your thing, then comedy surely will be. And this farce is one of the funniest shows you’ll have the pleasure to titter along to. 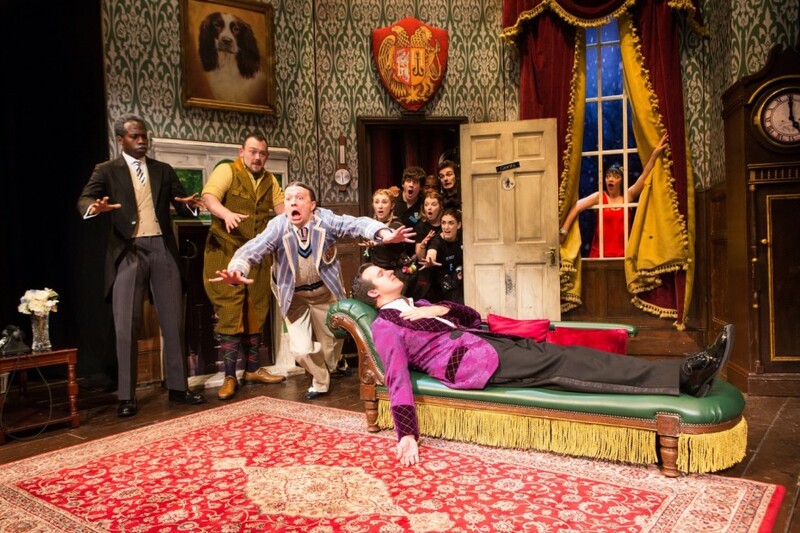 The Play That Goes Wrong follows the antics of the Cornley Polytechnic Drama Society who are trying their very best to stage a production of a 1920s murder mystery. But as the title suggests, this is not as easy as it sounds as everything that can go wrong does. Watch out for collapsing sets, forgotten lines, broken fourth walls, absent props and unfortunate injuries aplenty. 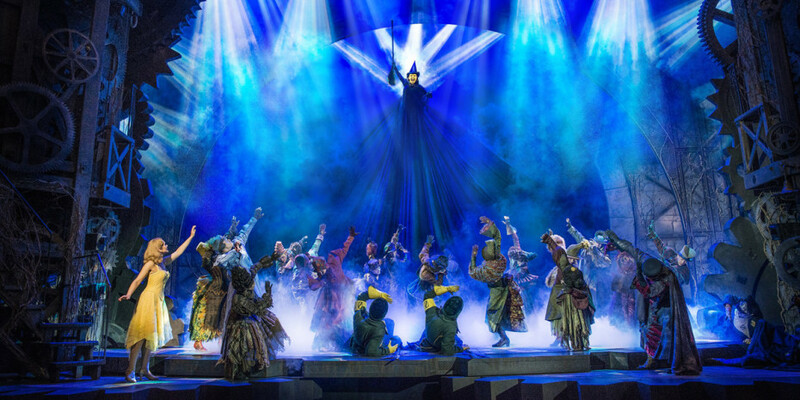 Make all their classmates green with envy thanks to a visit to the one and only Wicked. This spellbinding favourite tells the incredible untold story of the Witches Of Oz before Dorothy stepped foot on that yellow brick road. Their extraordinary adventures in Oz will ultimately see them fulfil their destinies as Glinda The Good and the Wicked Witch Of The West. See these well-known characters in a completely new way while listening to an epic score that’ll give you tingles. Age recommendation: 7+. No children aged 3 or below will be admitted. There are plenty of shows to treat the whole family and the list above is by no means exhaustive, so do check with box offices if another show takes your fancy.